It’s been a quiet week. Despite best efforts at hand washing and healthy living plus not touching yucky public things, the G.O. and I succumbed to a common cold lurgy. Feeling unwell isn’t conducive to looking on the bright side but this week along the lines of WikiHow’s How to Lead a Fulfilling Life Based on Words Ending in “Ty”, I gave it my own best shot with tea and words ending “y”. Positivity. Following advice recommending lots of rest and fluids, I took a day and a half either side of the weekend off work. I attended only to household necessities, pottered around, rested and drank tea. Efficiency. Over the course of the week we’ve drunk much and varied tea… lemongrass & dried ginger tea, peppermint tea, black tea, green tea, lemon myrtle tea, jasmine dragon pearls tea… but left to my own devices on Monday and not well enough to venture out I wanted something else… with a kick… so I brewed a concoction from what was to hand. Spicy. In a teapot: Nancy’s Lemongrass and Ginger tea + dessert spoon of fresh grated ginger (from a jar) + dessert spoon of organic honey + half teaspoon Garam Masala + half teaspoon Tumeric + half teaspoon Cayenne Pepper + slice of lemon. Creativity. Soothing to the throat and warming of the chest. The G.O. looked sceptical when I told him. But it was tasty. I put it to dual use as an inflamed ear poultice, soaking a cotton pad with the tea, applying it still warm to my sore ear. The mother of invention is necessity. We had things to do last weekend. A car show and a visit to our new niece. We didn’t do either. Or anything else. A quick top-up grocery shop as I walked home last Friday lunchtime plus fridge-freezer and pantry contents and little effort has fed us this week. Simplicity. Not going to the Hot Rod and Custom Auto Expo saved us cash. Frugality. We didn’t visit my family and new niece then realise we were sick. We rain-checked. Sagacity. After he finished work on Saturday the G.O. admitted the lurgy had taken hold. We stayed all plans and had an early night. Practicality. The G.O. and I spent a cosy recuperative Sunday together on the couch catching up on recent TV episodes of the second part of the first series of Diana Gabaldon’s Outlander. Misery loves company. The G.O. has been dragging himself to work. His system has a higher tolerance for Panadol and the Pseudoephedrine content of cold & flu tablets than mine does. Duty over captivity. I have a higher tolerance for limiting my existence to within the walls of our apartment. Ingenuity. But even I have limits to how much time I can spend recuperating at home so I’ve been going to and from the office at odd hours. Logging on and checking emails remotely. Flexibility. My foggy head managed some reading to pass the time. I posted reviews on Goodreads but unless you’re a Diana Gabaldon fan and are interested in reading the Lord John Grey novellas, I haven’t got anything new and wonderful to recommend. As well, I’ve been haphazardly reading & commenting on blog posts. Literary community. I felt like my head cold addled mind could barely string two words together but I managed to polish my ‘branching out’ short story to just over 2000 words before checking the submission details. Somehow I’d gotten it into my fuzzy head the required word count was 2000 to 5000 words. Realising the word limit was up to 1500 words, while muttering “show, don’t tell” I killed 500-ish of my darlings for the better I must say. I submitted it to Australian Country Style this morning. Maybe words formulated under the influence of lurgy brain will give it an edge. Tenacity. I’m getting better, and we haven’t needed to visit the doctor for an antibiotics prescription, or a flu shot. The G.O. is holding his own and the rain has accomplished what gentle nagging did not; he came home from work early today although it wasn’t easy to persuade him to go and have a sleep. Plus he has the weekend off. Happy. 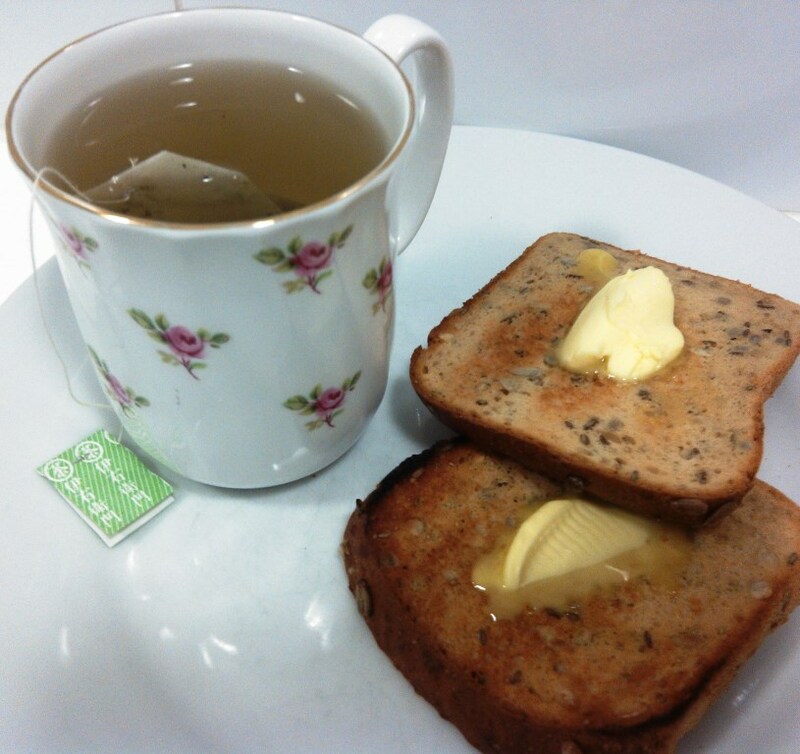 This entry was posted in Blog and tagged Australia, cold and flu, my life, tea. Keep getting better so you can go and restock your teas and anything else you’re running out of, and before you become stir crazy. We need eggs… hmmm… maybe tomorrow. Tea, we’re good for that for another year or so! This morning I convinced the G.O. to try my brew. He pronounced it good. Of course after my previous lurgy I noted and promptly forgot your suggestion but last week I did donate considerable funds to the local chemist for various herbal and other remedies including Echinacea. Another ‘y’ word… good for the economy, just not mine. We’re taking it easy and recovering, and with a little attitude adjustment, it’s not such a bad thing. Absolutely perfect – last weekend was the dark moon, and tending to yourself and your needs was ideal. I was busy until Sunday lunchtime, then I leaped into bed for a rainy day afternoon. I love the witty generosity of this post – get well soon! Thank you. Lurgy brain wrote it… a response I think to reading, re-writing and re-reading my short story… which I’ll be happy not to look at for quite some time. Looking on the bright side has made the lurgy days not so bad. Once you’ve read the first book, watch the TV series. I think you’ll enjoy it. Can we get it here?? We don’t have foxtel etc. There’s are ways… I’ll email you. Writing anything has been quite an experience with lurgy brain! I feel bright but not so sparky… which isn’t a bad thing as I haven’t been doing too much, and enjoying the space. But I’d be happier if the G.O. wasn’t crook although it’s much nicer when he’s home. And now you’ve rounded it off nicelea with a spot of bloggy connectivitea… Seriously, get better soon. And be kind to yourself; all kinds of self indulgence are not only forgivable but to be encouraged when you are miserable with cold. Very good… I hope hoping someone else would chip in with some “y’s” 😉 We’ve been indulging by yet another weekend of pleasantly doing not much at all. I think a cold is your body’s way of telling you to slow down . You did that and now I hope you and the G.O. feel better. You had some great ideas for making different teas. I’m sitting here sipping some fennel tea and thinking of adding some honey to it but not cayenne pepper! What a great post and good luck with your short story. My man will not drink any tea. He likes to suffer! Love your ty words! Tea saved me when I got the flu this year. I drank genmaicha every day. A giant bowl shaped mug of it. Helped me get back on my feet. I love the nutty sweetness of genmaicha 🙂 And my lurgy brain enjoyed the “y” exercise. Thank you 🙂 I thought there was no point in being miserable and sick, although there wasn’t much I could do about sick. But looking on the bright side certainly made it easier to bear. Hope you are feeling better! Very creative spin on such an unpleasant situation. I need to learn more about the various teas. This past winter I grabbed a couple (with citrus and gingers and various stuff) at the store when feeling “poorly” and swear I felt better faster than others who were also sick. Avoided tea for a long time as my mom poured tons of sugar in pitchers of ice tea. Nauseatingly sweet. Did learn that the organic ones are much better. Sorry you missed the car show. Fingers crossed with your short story! You just never know. Thank you. Lurgy brain just wanted to play with words after writing and re-writing the short story! I had a blog post full of car photos all prepared in my head but not to be, this year anyway.